Natural skin care for men is as necessary as it is for women. It’s no secret that women are the primary customers of skincare across the globe, but we still can’t quite figure out why. The truth is, men are just as prone to acne, sensitivities and skin conditions as women, plus with frequent shaving, we leave ourselves susceptible to ingrown hairs and the associated irritations. With this in mind, natural skincare for men is just as important as it is for women. Perhaps some men don’t know where to start when it comes to skincare. With Christmas & New Year’s swiftly approaching, take this opportunity to take a step in the right direction with our fully customisable Christmas Skincare Gift Sets. 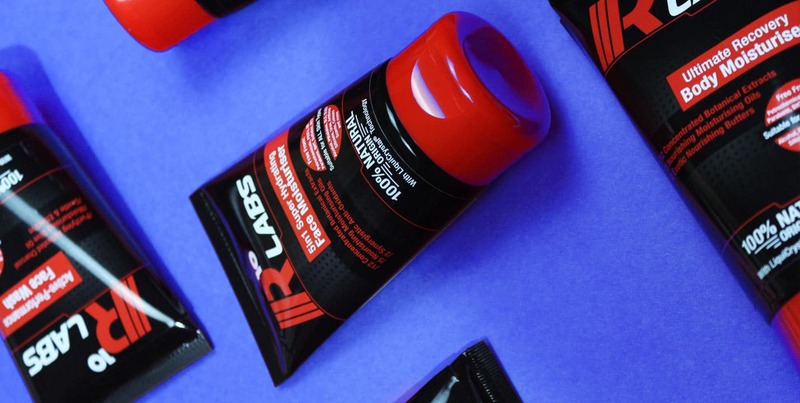 The R10 Labs range is just as suitable for women as it is for its loyal following of skin savvy men and, with nary a “for men” label in sight, they won’t feel as though they’re stealing from your male-specific skin stash. Creating a natural skincare routine from scratch can be confusing no matter who you are, so to make life easier we’ve condensed down the essentials into a 3-step process. Skin is skin, male or female, acne, sensitivity, excess oil or dry and flaky skin can strike. Our skin is quite literally our largest organ, so treat it as such! One of the skin concerns that many men deal with regularly is ingrown hairs. Shaving can cause hair follicles to become trapped just beneath the surface of the skin, leading to irritation, redness and a sore, acne-reminiscent bump. Even if ingrown hairs aren’t an issue, shaving exfoliates the top layer of the skin. This can strip the skin of its protective layer of oils, leaving the skin susceptible to bacteria and external stressors. 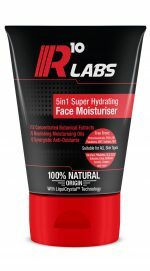 If you’re building a natural skincare regimen from square one, the R10 Labs Skincare range is the perfect place to start. Start off by washing your face with our Active-Performance Carbon Face Wash to thoroughly cleanse your skin. 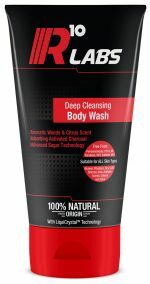 Not only does this natural cleanser remove dirt and grime after a hard day, fighting pollution with Activated Charcoal. The botanical extract of Myrica Gale, effectively fight bacteria causing spots while Olive oil deeply moisturises, leaving the skin feeling renewed & comfortable. If you’ve seen the light of what a natural body wash can do, opt for our Deep Cleansing Body Wash. Formulated with the guidance of expert dermatologists, our natural, sugar-based body wash will power through dead skin and excess oil, leaving your skin fresh & clean. Olive oil ensures your skin stays supple and soft and the numerous Citrus oils have a natural antibacterial action to help with unwanted body odour. If there’s nothing like a wet shave to get you started for the morning, our Hybrid IQ Shaving Gel-Oil is perfect for you. Shaving oil gives a close, clean, friction-free shave. Shaving gel softens the toughest of stubble, washing off easily with no razor blade blockage. Our unique, proprietary hybrid shave gel oil combines the best of both worlds to ensure an easy shave experience. The largest organ you have is your skin. Our Ultimate Recovery Body Moisturiser makes sure you keep that in great condition. Our rich, nourishing body moisturiser is packed with 12 potent concentrated botanical extracts, a heavy hitting array of 3 moisturising oils and a nourishing base of 2 exotic butters. Our unique formula, packed full of vitamins, minerals and essential fatty acids, deeply moisturises, softens and smooth’s rough skin. All you have to do is apply it to any skin below the neck line. If there’s a thing that can be said about the way men approach skin care, it’s that we love a good multitasker. Save time and money with our 5in1 Super Hydrating Face Moisturiser. Our lightweight balm is packed with 12 potent concentrated botanical extracts, 5 powerful actions, Moisturiser, Hydration, After-shave, Anti-irritation & Anti-ageing solution with a heavy hitting array of 5 moisturising oils, combine in 1 simple to use package.